These eye catching, light weight guitar pick earrings have 4 painted picks on each side. 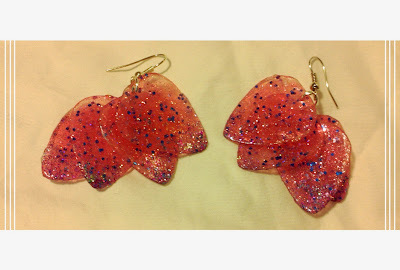 Earrings are fish hook style in silver. Transparent picks are painted with many different types of glitter but predominantly blue sparkles.